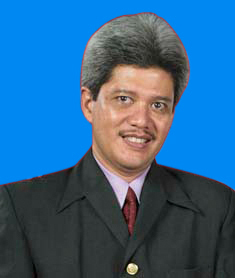 ABRAM SUSAN ERNANTO, Menempuh pendidikan di Universitas Surabaya tahun 1987. Jurusan Financial Management and Administration. Memiliki minat di bidang Manajemen Bisnis proses, Set up busnis Analisys, MSDM, SOP, Sertifikasi ISO, SMM, HSE, Finance and Tax, HACCP and Food Safety. Service experience with an emphasis on facilities, hospitality, corporate services, property management or equivalent office management experience. Training Indoor and outdoor training, with specialized topics: leadership, coaching & mentoring, teamwork building, handling classroom technique, Career Planning, Training for Trainers, personality development & creativity, AK3. HRM With specialized in training, career management, competency based human resource management, organization culture, A s s e s s t m e n D e v e l o p m e n P r o g r a m , S O P , K P I f o r Balanced scorecard. ELPO INDONESIA GROUP, Agust 2012 – Feb 2015. Experience developing and managing budgets with strong financial, contract management and purchasing skills. Experience Procurement strategy developed and implemented internal for (building maintenance, security, cleaning, HSE, inc ISO and OHSAS), Contract Management (store all Contract, Document and Administration), Vendor identification, quote analysis, contract and negotiation. Solid knowledge of property management, food service, leases, construction terms and practices, and industry trends. and strong customer service focus, flexible and open to new ways of doing business. Demonstrated ability to handle multiple requests and work in a fast paced environment. people management, leadership and project management skills. Excellent written and verbal communication skills. Strong presentation skills. Proven ability to influence at all levels. Plan and manage delivery of daily office activities, employee programs, and service objectives in multiple sites, in collaboration with other teams. Communicate effectively with clients and internal stakeholders in the region in their respective mother tongues. Oversee property management services including: maintenance of building and mechanical systems, janitorial service and supplies, and health and safety in a demanding environment that requires the highest level of service delivery. Inventory Management including maintenance of stock records, stock balances and shortages and other related inventory issues as required. Credit Management including support credit control and collections for sales office, liaise with Finance & Accounting department for accounts receivable reconciliation and allocation of payments,Claim Management including controlling the documentation of complaint procedure. Proactively coordinate and manage the day-to-day business and operational activities of Security Services. within area of responsibility by working closely with Country Guarding Manager to maximize use of resources in the most cost effective manner, grow the business whilst meeting all contractual obligations. commercial security service to SS customers in East Java, May extend to include other cities or areas. Improve and Increase business practice and maximize the effectiveness of existing resources and by introducing new techniques and ideas into the daily management of all guarding customer accounts. Responsible for the management more of 800 guards working at a variety of locations (East Java, inc Paiton Jawa power project similar like : Ipmomi, Harbin Power MSHE JO, YTL) and tasks with a varying scope of works: Banking, Factory, Residance and Office Building. Ensuring quality service. KPI Report to costumer and KPI to General Manager Operation and customer services. Review closing of sales journal. Issuing of warnings to Guards and Site Supervisors within his own area of responsibility who fail to observe company standards, keeping HR and Operations Manager informed of any such warning in writing. Ability to multi-task, establish priorities, meet deadlines and make sound decisions. Solid people management, leadership and project management skills. Manage day to day operations by providing a quality, eficiensi, finance, payments; expenses and Account Payables, cost budget, professional and premium commercial General Service Management in East Java include Bali – Denpasar. To increase business efficiency and profitability through existing customers and developing new customers. (Security, Greating Service/Customer Services, Building Fasilities and Accomodation Support). Assist in budget development, review and rolling forecast updates as required. LAST POSITION : GENERAL SERVICE AND ADMINISTRATION MANAGER. Site Controlling in Surabaya Prospecting Potencial Client. Property management services including: maintenance of building and mechanical systems, janitorial service and supplies, and health and safety in a demanding environment that requires the highest level of service delivery. Collaborate with other business units to meet company goals and standards. Manage outsourced facilities services vendor, ensuring best practices are being created by using and testing Google products, while also having general oversight of daily operations of offices in all areas of workplace services including reception, security, mail, and ticketing system. Juli 2003 – 2006, Gramedia Multi Media Surabaya, Soft Skill Security and Cleaning Maintenance Service Quick Handling. Januari 2007 – June 2008, Security and Human Resource Maintenence Skill and performance YTL and Ipmomi – Paiton PLTU. Safety Regulation System and Implentation. Januari 2009 – Nopember 2012, Dampak Lingkungan atas Limbah Resto di Bandara Juanda SNI dan ISO 14001. 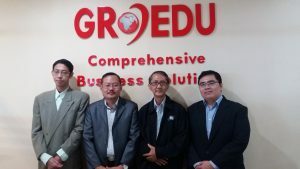 Januari 2011 – Now, Soft Skill dan Implementasi OHSAS, SMK3 dan ISO 9001 Graha Prima Indonesia dan Elpo Indonesia .. Konstruksi. Juni 2011 – Sept 2011, GAC Samudera Indonesia, Procurement supplier SDM dan evaluasi audit vendor. Januari 2013 – Juli 2013, Multi Anugerah Texindo. Pendampingan Konsultasi ISO 9001 dan Sertifikasi ISO 9001. Multi Anugerah Texindo, Pendampingan dan Assestemen Development Program. Dengan Tujuan Penetapan KPI untuk Balanced Scored Card di proyeksikan tahun 2015. Mei 2004 – 2007 Aerowisata Catering Service ISO 22000 dan Set up New Catering Proces Juanda. Internal Audit and Fraud Detection (Des 2009-Maret 2010) Ikatan Akuntansi Indonesia – Wilayah Jawa Timur Surabaya. Practical Leadership for Professional Executives.